Xploree - Telugu is most widely spoken native language in southern India. India is a diverse country with each region or state having its own distinct language. Add to that, each language has a variety of dialects used by people across the region or state. Telugu speakers at 71 million are the biggest group among south Indian language speakers residing in the south of India. They are principle residents of Andhra Pradesh and Telangana, having a sizeable presence in the neighboring states of Karnataka and Tamil Nadu at 3.7 and 3.5 million respectively. Telugu is treated as a classical language, among the six classical languages identified by the Indian state. It was conferred the distinction in 2008. Erstwhile Andhra Pradesh is considered by many as the fiefdom of IT professionals. Andhra Pradesh is also considered as the first few states that drove the IT revolution in India, benefitting both the state and the country. Another distinction that the Telugu diaspora is recognized with is the number of students going abroad for higher education. Telugus from Andhra Pradesh and Telangana are the single largest ethnic group going to the USA for studies. As such they are also one of the biggest native population getting absorbed into different industries after their studies. 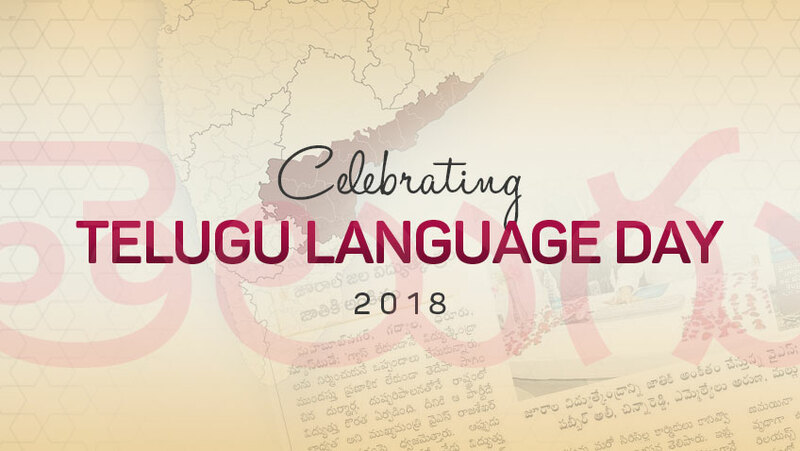 Telugus celebrate 29th of August as Telugu Language Day every year coinciding with the birthday of Gidugu Venkata Ramamurthy, a revered Telugu poet. The day is celebrated with aplomb across the state aided by funds doled out by the Andhra Pradesh state government. The government also presents awards to deserving personalities from different domains acknowledging their contribution in the spread and betterment of the Telugu language. Install Xploree AI Keyboard App available for free on play store to conveniently converse in Telugu. The keyboard also enables you to converse in a mix of English and Telugu otherwise known as macaronic language besides the capability to transliterate. The option to use exclusive multilingual GIF’s, emojis and stickers make your conversations a lot more engaging and fun. While the variety of themes alongside the option to create personal themes for your keyboard ensures you are never short on style or attitude! Click here to know more about the widely spoken Dravidian language and its relevance in today’s day and age.